A quick view of the most influential metrics in Pearl City. Pearl City is a census-designated place (CDP) located in the ʻEwa District and City & County of Honolulu on the Island of Oʻahu. As of the 2010 Census, the CDP had a total population of 47,698. Pearl City is located along the north shore of Pearl Harbor. ʻAiea borders Pearl City to the east, while Waipahu borders the west. The U.S. postal code for Pearl City is 96782. Pearl City is located at 21°24'30" North, 157°58'1" West (21.408333, -157.966902). According to the United States Census Bureau, the CDP has a total area of 5.8 square miles (15 km2), of which, 5.0 square miles (13 km2) of it is land and 0.8 square miles (2.1 km2) of it is water. The total area is 14.29% water. As of the census of 2010, there were 47,698 people, 14,622 households, and 7,288 families residing in the CDP. The population density was 6,215.5 people per square mile (2,401.6/km²). There were 9,181 housing units at an average density of 1,842.2 per square mile (711.8/km²). The racial makeup of the CDP was 59.57% Asian-Pacific Islander, 17.24% White, 2.71% African American, 0.27% Native American, 1.41% from other races, and 18.81% from two or more races. 7.30% of the population were Hispanic or Latino of any race. There are 8,922 households out of which 25.2% have children under the age of 18 living with them, 63.9% are married couples living together, 12.3% have a female householder with no husband present, and 18.3% are non-families. 14.9% of all households are made up of individuals and 6.6% have someone living alone who is 65 years of age or older. The average household size is 3.17 and the average family size is 3.48. In the CDP, the population is spread out with 18.8% under the age of 18, 13.7% from 18 to 24, 27.2% from 25 to 44, 23.2% from 45 to 64, and 17.1% who are 65 years of age or older. The median age is 37 years. For every 100 females, there are 115.2 males. For every 100 females age 18 and over, there are 117.3 males. The median income for a household in the CDP is $62,036, and the median income for a family is $67,246. Males have a median income of $30,712 versus $28,408 for females. The per capita income for the CDP is $21,683. 6.2% of the population and 4.0% of families are below the poverty line. Out of the total population, 11.7% of those under the age of 18 and 4.1% of those 65 and older are living below the poverty line. 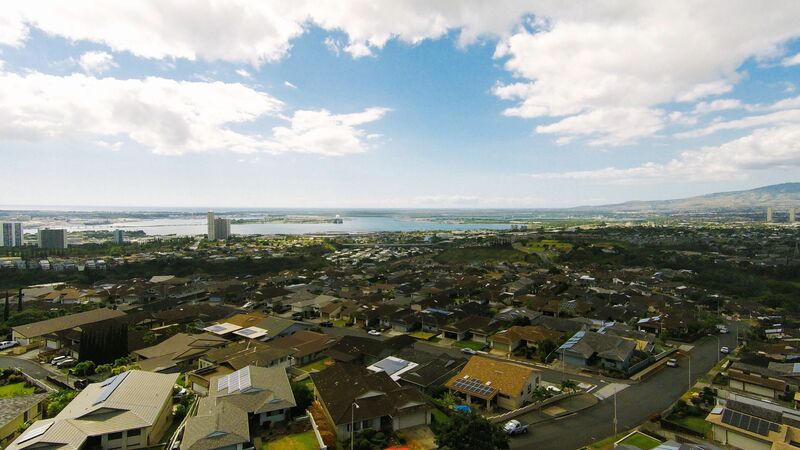 View our selection of available properties in the Pearl City area. Check out the latest demographic information available for Pearl City. 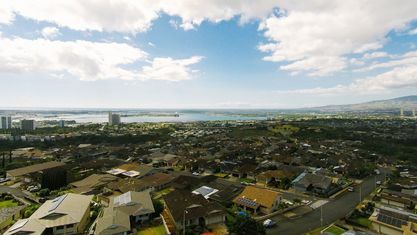 Get to know Pearl City better with our featured images and videos. Browse through the top rated businesses in the most popular categories Pearl City has to offer.